On Sunday, the 2012 Historic Bellefonte Cruise will feature something new this year: a 5K Run/Walk, which just happens to fall on Father’s Day. 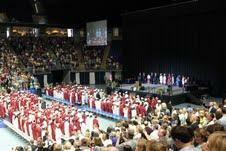 Photo provided by Centre County Gazette. Dads, grab your sons and daughters and prepare to get moving. On Sunday, the 2012 Historic Bellefonte Cruise will feature something new this year: a 5K Run/Walk, which just happens to fall on Father’s Day. Father-daughter and father-son teams are encouraged to enter the race, which begins at 10 a.m. on South Potter Street in downtown Bellefonte, next to the train station. The 24th Annual Historic Bellefonte Cruise runs from Friday through Sunday, with the car, truck and motorcycle show held on Saturday. Bill Pantle, 5K Run/Walk coordinator, said between 250 and 300 people are expected to be at the race, which benefits the Bellefonte location of the Centre County YMCA. So far, about 100 people have registered already. At the end of the race, plaques will be given out to the fastest father-daughter and father-son teams. Medallions, in gold, silver and bronze, will be presented to male and female participants who finish first, second and third in their age groups, Pantle said. A Zumba warm-up will be held prior to the race, from 9:15 to 9:45 a.m., Pantle said, and fruit and water will be provided after the race. Additionally, water stops will be positioned in different areas during the race. Pantle, serving his first year on the cruise committee, said the 5K was coordinated by Rachel Garmon, of the Bellefonte Y, and Historic Bellefonte Cruise Chairman Pat McCool. He said the race helps further the committee’s relationship and partnership with the Y, and will help make the cruise even bigger next year, when it reaches its 25th anniversary. “The money from the cruise does go back into the community,” Pantle said. He said the cruise is an opportunity for everyone in the community to “kick back” and have a good time. “It’s a fun weekend,” he said, and the 5K is just one more activity the community can participate in. “We’re looking forward to the event,” he said. 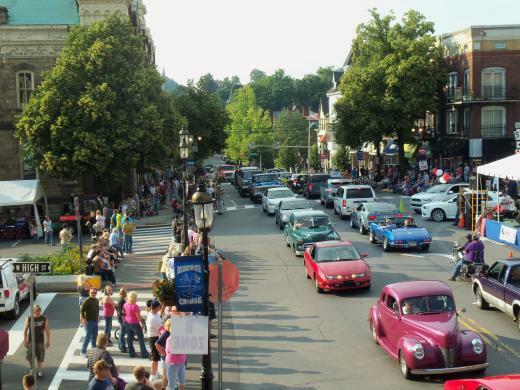 The Historic Bellefonte Cruise is a three-day event held annually during Father’s Day weekend. It draws in some 10,000 people each year, according to the event website. Sock Hop from 8 to 11 p.m., featuring the central Pennsylvania musical group, Your Dad’s Friends, which will play live 50s and 60s music. Hounds of Soul, a 9-piece rock, soul, rhythm and blues band, will follow. Car, Truck and Motorcycle Show, beginning with set-up and registration at 7 a.m. Vehicles will be on display until 5 p.m.
5K Run/Walk to benefit the Centre County YMCA. The following streets will be closed from 9 to 11:30 a.m. on Sunday, June 17 as a result of the Historic Bellefonte Cruise 5K Run/Walk: Roopsburg/Potter/Fisherman’s Paradise/Seibert Roads. The event will start on S. Potter St., adjacent to the train station, and proceed west on Roopsburg Road, crossing state Route 550 to a turnaround near the junction of Roopsburg/Fisherman’s Paradise Roads and Seibert Road, then returning to Talleyrand Park. The closure, approved by Benner and Spring Townships and the Borough of Bellefonte, is for the safety of all participants. There will be control personnel along the route to assist in egress from residents’ homes. Russell Frank: We Did It! We Graduated! Commentators made sport of Bill Clinton’s remarks at daughter Chelsea’s high school graduation in 1997.